The Yamaha FGX730SC is one of the best acoustic-electric guitars under $500. If you're trying to land a great acoustic-electric guitar without spending too much, $500 is a pretty good budget. You'll have some outstanding options, from brands like Seagull, Yamaha, Ovation, Ibanez and Fender. These are some of the most respected brands in the world, and they not only make high-end guitars for professionals, but moderately priced models for us working folks. The point of this article is to help you figure out which acoustic-electric guitar is best of you, your budget and your needs. All I can do is offer recommendations, but after three decades of playing I have a pretty good idea of what's worth it, and what you ought to stay away from. The Guitar. You want a great acoustic guitar that sounds outstanding on its own. Here you're looking at everything you'd consider in a pure acoustic guitar, like tonewoods, craftsmanship and quality. The Electronics. This is where the guitar's pickups and preamp factor in. When it comes to onboard preamps for acoustic-electric guitars you want something that's easy to access, with flexible tone-shaping options. So, I present the following suggestions from some of the top guitar builders. They'll get the job done for intermediate guitarists. Even veteran musicians on a budget will be impressed with their sound and specs. If I were looking for a new acoustic-electric guitar myself, this is where I would start. Yamaha is known for high-quality acoustic guitars, and guitars that are a great value for beginner and intermediate players. The FG series in particular has gotten a ton of praise over the years for high-quality and affordable prices. These guitars are very popular, and it's easy to see why. The FGX730SC is an acoustic-electric model in the FG bloodline that comes in at a very affordable price, and it's an outstanding choice for intermediate guitar players. It features a solid Sitka Spruce top, Rosewood back and sides, Nato neck and a rosewood fingerboard and bridge. You can get it in several finishes, including Natural, Brown Sunburst and Black. With Yamaha you know you're starting with a great acoustic, and the electronics just improve the package. This is Yamaha's System 56 One-Way A.R.T. configuration. A.R.T. stands for Acoustic Resonance Transducer. The System 56 Preamp has a 3-band EQ and an AMF control to help manage feedback. 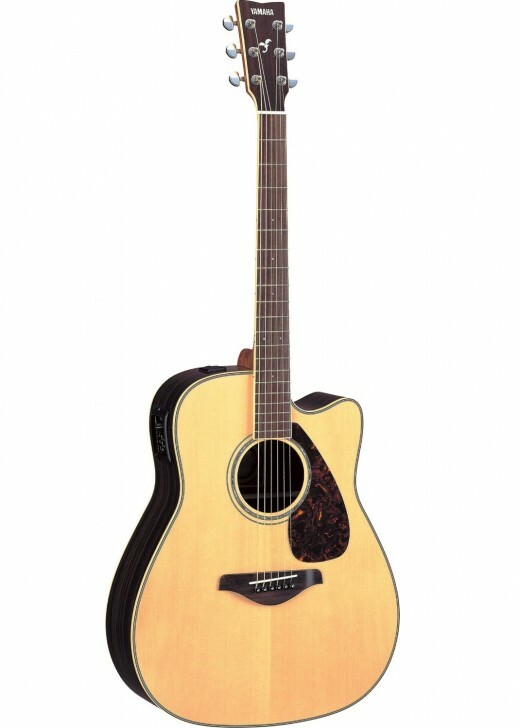 I were looking for an acoustic-electric guitar in this price range, the Yamaha FGX730SCA would be my top choice. Epiphone makes some excellent affordable guitars for intermediate players, and the EJ-200CE is no exception. This is a guitar with a legacy dating back over seven decades, with a classic look and sound. It’s also a little different that some of the other guitars in this review. For one thing, check out that jumbo, single cutaway body! Combined with the block inlays and pickguard it just reeks of vintage style, especially the sunburst model. But looks alone aren’t what will make you dig guitar. The body features a solid spruce top with select maple back and sides. Maple is an interesting tonewood when it comes to acoustic guitars, and often takes a backseat to rosewood and mahogany. However, it produces a tight, articulate sound that works well with larger-bodied guitars. Having played a maple-bodied acoustic guitar for the better part of 25 years I can attest to that! A rosewood fingerboard and bridge round out the tonewood profile for the EJ-200CE. The electronics are a pair of pickups, one at the bridge and one at the neck. The output from these pickups can be blended with the onboard Epiphone eSonic2 preamp, which also includes a handy tuner, EQ for each pickup and phase switch. The Epi EJ-200CE features enough technology to get any modern guitarist through a gig, but the classic looks and sound of vintage guitar from days gone by. It’s a unique choice, and one that will surely get you noticed! Ibanez makes some great guitars, both acoustic and electric, but you'd be hard-pressed to find anything prettier than their Exotic Woods series. These instruments are a great way to make a statement when it comes to both look and sound. And, Ibanez quality is always top-notch when it comes to intermediate-level instruments. Start with a good-looking single-cutaway body shape, with top, back and sides made from your choice woods like Ovangkol, Sapele, Zebrawood or Figured Ash. Each has a mahogany neck and a rosewood fingerboard and bridge. The headstock veneer matches the body, and each guitar has a pretty fingerboard inlay at the 12th fret. As you'd expect, each tonewood will bring a different sound to each guitar. Sapele has a deep, resonant tone similar to mahogany. Zebrawood and Ovangkol present a sweet, punchy sound, something like rosewood. Figured Ash will have a brighter sound. The choice is yours, and you're probably not going to decide between these guitars on looks alone. Speaking of sound, the electronics are a Fishman pickup with Ibanez's AEQ-SP2 preamp. Preamp features even include an XLR out for hooking up straight to the mixing board. These are some impressive guitars for the price, and possibly the pretiiest in this review. But that's for you to decide! Check Out Ibanez Exotic Wood Acoustic-electric Guitars! Seagull is an impressive guitar brand from the Great White North. It's tough to find guitars in this price range that aren't made in some far-off country, but the Seagull Entourage is Canadian born and bred. That's a big positive check mark in my book. The Seagull Entourage CW QI features Canadian wild cherry back and sides, with a select, pressure-tested solid spruce top and rosewood fingerboard and bridge. It also has an interesting headstock design that allows an even pull across all six strings for increased tuning stability. The guitar features Godin's Quantum II electronics which incorporates both a saddle transducer and electret microphone to pick up the sound. This setup provides the best of both worlds, and you can blend the sounds via a rotary control on the preamp. Additional preamp features include bass and treble (for saddle transducer), volume and a built-in tuner. 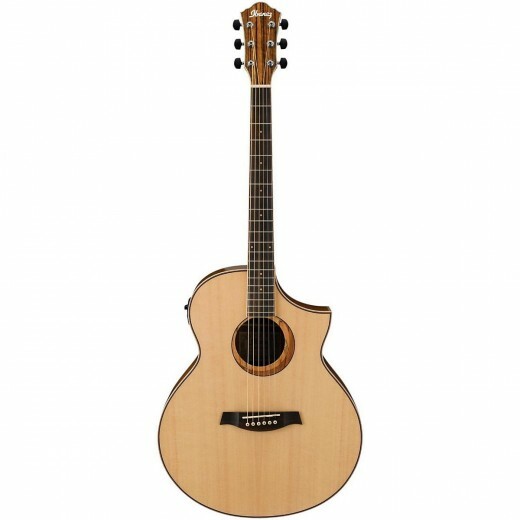 The Entourage CW QI is a real bargain in the acoustic-electric guitar world. It's an outstanding choice of any intermediate guitarist, but certainly has the quality and sound to impress veteran guitar players. Ovation guitars feature a unique design, namely a synthetic bowl replacing the traditional back and sides. Some people love them. Others, not so much. As for me, I lean more toward the love side. In fact, I played Ovation guitars during my brief foray in an acoustic duo, and the Celebrity Elite was my guitar of choice. Ovation guitars feel something like a cross between an electric and an acoustic, and I personally liked that. As for sound, you won't get quite the texture, resonance and projection you might be used to when the guitar is unplugged. But Ovation makes up for that with some very useful preamp controls. The Ovation Celebrity Elite features Ovation's Lyrachord mid-depth body and multi-sound-hole design. It has a solid spruce top, nato neck and rosewood fingerboard and bridge. For electronics, the CE44 utilizes Ovation's Slim Line pickup and OP-4BT preamp. Preamp controls feature a 3-band EQ, volume control and tuner. Ovation guitars have a distinct feel and sound that I've always liked. If you're looking to maintain the character of a true acoustic guitar in your sound they may not be for you, but if you know you're going color your sound through an acoustic amp and you like the idea of control and flexibility with minimal feedback, they are well worth a look. I wanted to include a true jumbo option in this review, and the Fender CJ-290SCE gets some great reviews. Looking it over, I see why. Every Fender mid-price acoustic I've played was a great guitar for the money, and this one appears to be no different. Fender CJ-290SCE has a solid spruce top, laminate flame maple back and sides, a maple neck and a rosewood fingerboard and bridge. There are also some really nice embellishments here, like the Abalone rosette and Ivoroid binding, and the Tortoiseshell pickguard. It's a very attractive guitar. The electronics are another strong point of this acoustic-electric guitar. The Fender CJ-290SCE features a Fishman Presys pickup system and preamps. Fishman is a highly respected name in the acoustic guitar world, and their electronics just add to this great package. Preamp controls include volume, bass, mid, treble, onboard tuner and a phase button. It's tough to find a good jumbo-bodied acoustic-electric guitar for under $500, but the Fender CJ-290SCE might be your answer. 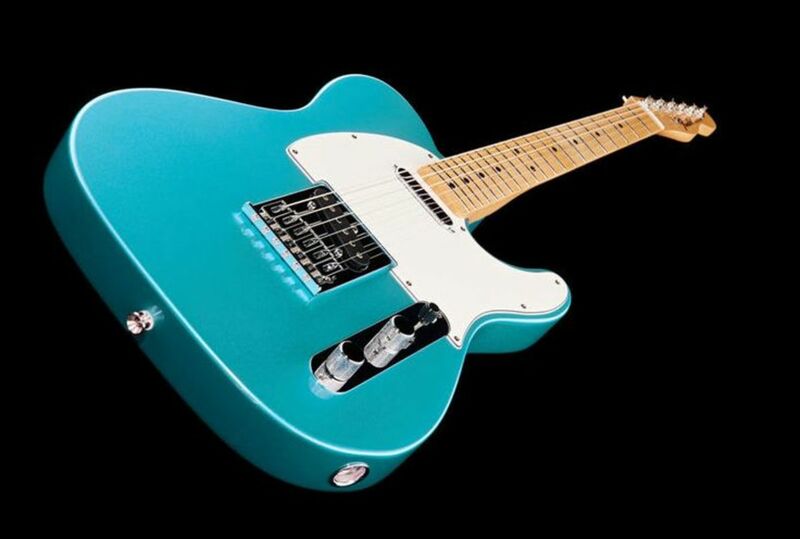 It looks good, includes some high-quality electronics and comes from Fender, one of the most respected names in the business. A few final words about choosing an affordable acoustic-electric guitar: One of the things that gives me pause when trying to pick out an acoustic-electric instrument under $500 is that the lower in price you go, the more the quality of the guitar itself will suffer, and least as compared to a pure acoustic guitar. It only makes sense that if the preamp and electronics make up part of the cost, the guitar itself might not be quite as good as a pure acoustic for the same price. In theory, that only makes sense, right? Of course the reality of it comes down to individual guitars, made by individual guitar companies. So, does this mean you're better off looking at a higher price point? Not necessarily. It just means you need to do your homework and know what you are getting. The guitars in this review are a good place to start. Most importantly, it means you ought to make sure you buy your guitar from some place that has a good return policy, just in case you get a dud. Any negative issues I read about concerning these guitars had to do with quality control on individual guitars, not the design of the guitar model itself. Otherwise, I feel confident in my recommendations here. These are all great guitars, from respected names in the guitar world. But, the decision is yours. Good luck with your search for the best acoustic-electric guitar under $500. I don't think you can go wrong with any of the instruments mentioned in this article. 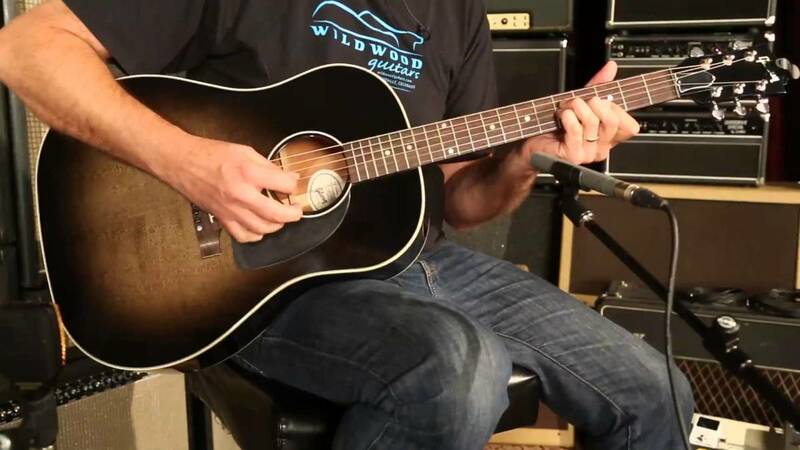 Learn which acoustic guitars are the smartest choices for intermediate players and discover instruments for guitarists looking to move up from their starter guitar. Compare five acoustic guitars under $500 and learn why you needn't spend a fortune to land a great instrument! Here are five acoustic-electric guitars on the market for under $1000. If you’re looking for a new guitar start your search here! Compareacoustic-electric guitars for under $300 and decide which instrument is perfect for your style. Learn about the Seagull Artist Mosaic, S6 Original and Maritime SWS acoustic guitars in this review. Specs, sounds and other important info.